What better way to announce our biggest collaborations to date, than getting a party poppin’ at LA nightclub Poppy? 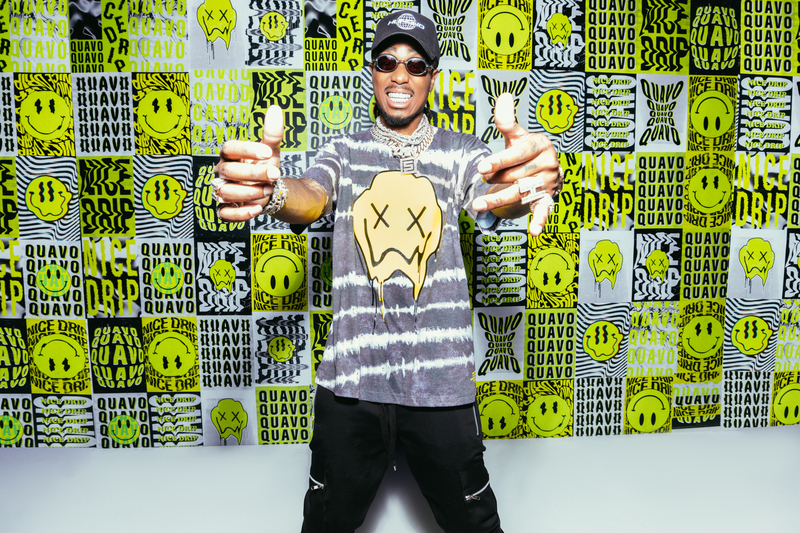 We hosted a star studded party on Wednesday night to celebrate the launch of boohooMAN by French Montana, and just like the range, the party went off in style. With any boohooMAN party, it’s all about the entrance and the A-list personalities were flowing through. Celebs turned up to show love for boohooMAN and French on the red carpet; Stefflon Don, Sean Coombs, Chris Brown and even Dennis G (Drake’s dad) came to party ‘till the AM. Co-star of French’s smash hit ‘Hurtin’ Me’ English rapper, signer and songwriter Stefflon Don came to support the Launch. Dean Unglert and Nick Viall of american reality TV show ‘The Bachelorette’ were also at the Launch at celeb-hangout Poppy. Diddy and French Montana have been close friends for years, therefore its no surprise that son Justin Coombs showed up, keeping it in the family. Mark Wright is killing it in the states in his presenting gig for Extra TV, and was there covering the event at Poppy as well as having a drink or two. Menswear model Shaun Ross also walked the carpet throwing serious vibes. Rita Ora’s bestie and Ex-Towie star Vas J Morgan rocked a full boohooMAN look in this Aztec chevron co-ord, on-site now. The the MAN of the moment made his highly anticipated entrance wearing boohooMAN premium collection fur pea coat. After posing for the paps and chatting about the inspiration behind the co-designed collection, it was time to get the drinks flowing, the music blasting and the party going! C-breezy aka Chris Brown made the VIP area to celebrate with French and his squad. Make sure you cop the hottest collection of the season by shopping the boohooMAN by French Montana collection on site here.